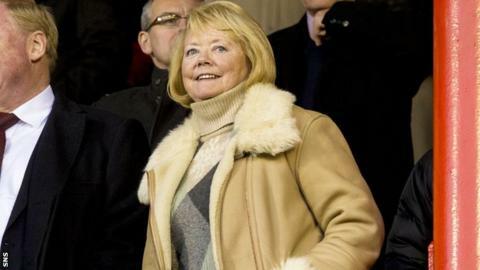 John Colquhoun says the progress made by former club Hearts since Ann Budge's takeover has been "truly amazing". Budge took control of Hearts in May 2014 and brought the club out of administration. With the Edinburgh side on a much sounder financial footing, they secured promotion from the Championship and currently sit third in the Premiership. "For them to be sitting where they are just now, in year two of the project, is truly amazing," Colquhoun said. 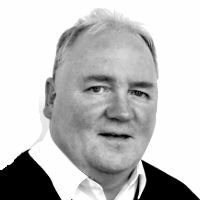 Colquhoun - who played for Hearts between 1985 to 1991 and again between 1993 and 1997 - was sure Budge's takeover would be good for the club, but the progress made in such a short period of time has exceeded his expectations. "It's gone better," he explained. "I thought promotion last year was going to be a real stretch and they did it at a canter. It says a lot about the infrastructure that they've got at the football club and the feeling and momentum they've got. "You've got [director of football] Craig Levein, [head coach] Robbie Neilson, Ann Budge and Eric Hogg who do a fantastic job around here, 0700-1900 everyday it seems. It's just an amazing feeling here. "It's not stopping here. They've got plans to build this new stand which will turn it into even more of a cauldron than it is at the moment. "Even opposition players in Scotland will say this is one of their favourite venues to come to because it's full and an amazing atmosphere, and it will be again on Sunday." Celtic visit Tynecastle at the weekend, and although the champions have endured a difficult period lately, Colquhoun - who had a short spell at Parkhead early in his career - thinks Ronny Deila's men will still travel to Edinburgh with confidence. "Celtic have had a couple of bad results but that happens," he told BBC Scotland. "Celtic pay more money, they've got more money and they'll come here expecting to win on Sunday. "I think it will be a really tough match. I think with all the turkey, all the trimmings, everything in the players' bellies, I think it will be a credible 2-2 draw."